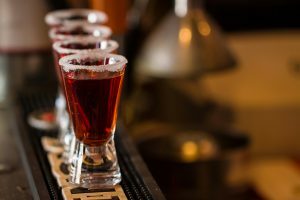 The International Wine and Spirits Record (IWSR) predicts that the global alcohol beverage market will grow at a rate of 0.2% from 2017 and 2021 – repeating the trend of the last five years. Within this, ready to drink cocktails followed by cider are expected to see the fastest percentage of sales growth. Beer, however, is expected to increase the most by volume. Wine and spirits are also expected to grow (both +0.4%), wine increasing at a larger rate than in recent years, specifically in China. By far, the biggest volume gains of all spirit product types will be led by whisky, which is projected to add 55m cases by 2021, trailed by national spirits and gin. Success within sectors is attributed to two major factors- quality and authenticity. Consumers are craving a unique brand of premium value. This is a trend that goes beyond the concept of ‘craft’ and is linked with an evolving consumer who is progressively demanding, complex and harder to convince. Modern consumers must consider their purchases and choices as a reflection of their own character and personal expression. Brands must find new ways to connect with the individual.